LEGUMINOSAE. Handsome East Asian deciduous trees related to Cladrastis, grown for their panicled white flowers. Very hardy. White 1/3" flowers tinged slate blue in dense upright 4 - 8" particles in July and August. Small tree to 40 feet, with pinnate leaves. Manchuria. Zone 4. Very hardy and ideal for landscaping as it blooms when young. Try naturalizing it in the Northeast. Soak, nick hard, to germinate in 1 - 3 weeks. Fragrant white pea-like flowers in 6" spikes in late spring and summer. Broad-crowned tree to 30 feet or more, with dark green pinnate foliage, which is a silvery grey-green in spring. Central and western China. Zone 5. Nick seed to germinate in 1 - 2 weeks. 'MACADAMIA NUT'. Foot-long pendulous racemes of pink or white flowers, followed by large edible nuts. Tree to 40 feet, with large dark green, prickly-toothed leaves. Eastern Australia. Called 'rough-shell macadamia', this is hardier than the common one, and stands down to 20°F. Good in inland areas of southern California. The nuts are sweeter than the common one. Needs warmth to germinate in 1 - 4 months. CRUCIFERAE. Hardy annuals and perennials from the Mediterranean and Mideast, grown for their showy flowers. Easy in almost any soil, prefers full sun. Sow in early spring or fall, and thin to 3" apart. 'VIRGINIA STOCK'. 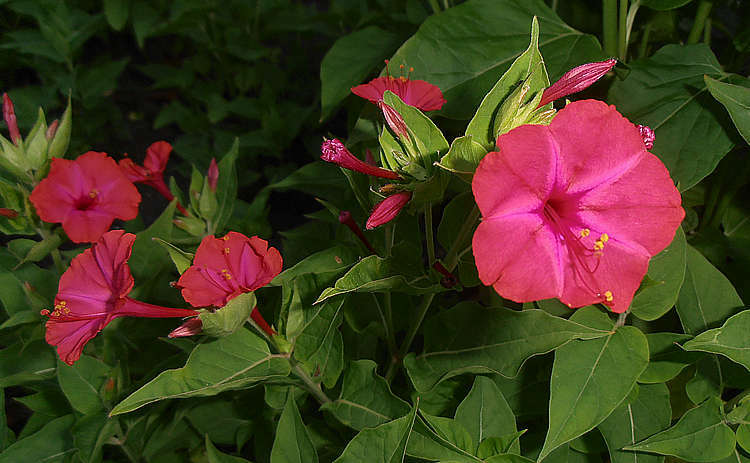 Bright red, rose and white inch-wide 4-petaled flowers covering the plant. Hardy annual to 8 - 12". Mediterranean. Sown in large drifts they make a vivid display. Six weeks from sowing to bloom. Succession sowings are nice. Germinates in 1 - 2 weeks. MALVACEAE. 'MALLOW', 'CHEESES' (from the shape of the fruit). About 30 herbaceous species grown for their attractive flowers or for food (since 6000 BC). Very easily grown in most soils, full sun or light shade, and they may be sown where they are to flower. Germinates in 1 - 4 weeks. Seed long-lived; they have been sprouted from 200 year old adobe bricks in California and México. Nicking may help. Soft appleblossom-pink 2" wide flowers from June to September. Hardy perennial to 20", with deeply divided foliage. Europe. Zone 3. Give seed hot water treatment to germinate in 1 - 2 weeks. 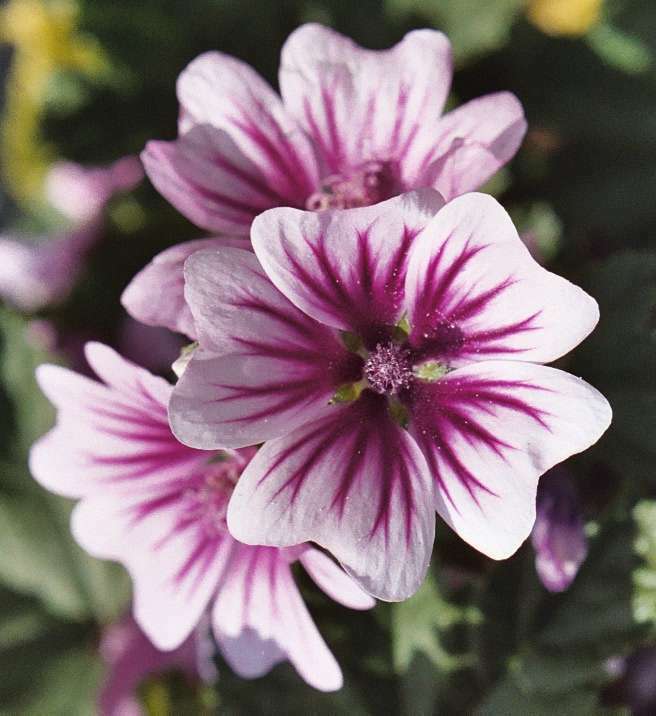 'ZEBRA MALLOW'. Clustered hollyhock-like flowers range from white to rosy purple, with dark purple veins, giving the petals a striped look. Hardy perennial often grown as an annual, to 3 - 4 feet. Blooms first year and from June to September in subsequent years. Europe. Zone 3. The flowers are edible and a nice addition to salads, and the young leaves are good in salads or boiled like greens. Nick seed, or give hot water treatment to germinate in 1 - 4 weeks. SOLANACEAE. Famous hardy stemless perennials of myth, magic and medicine. Good in the border or wild garden in well-drained soil and part shade. 'AUTUMN MANDRAKE'. Bell-shaped purple 1 1/4" five-petaled flowers in spring, followed by oval orange to yellow berries. Hardy perennial forming rosettes of foot-long ruffled-edged leaves rising from a thick root. Mediterranean. Zone 5. Do not transplant the seedlings-sow in pots and plant out at the end of the first season. Stands rocky soil and drought. The roots were used in medicine like M. officinarum, and shared the wild mythology and magical uses surrounding 'mandragore' roots. Gives good germination in 2 - 8 weeks warm, higher with GA-3. 'MANDRAKE', 'DEVIL'S APPLES'. Bell shaped inch-long greenish to bluish flowers in spring, followed by yellow berries. Hardy perennial forming rosettes of foot-long leaves from a thick root. South Europe. Zone 6. Best in well-drained soil. Famous magical plant, variously considered a panacea or aphrodisiac, surrounded by folklore. Germinates in 1 - 3 months with GA-3. LABIATAE. Bitter aromatic Eurasian perennials. Easy in poor, hot, dry soils and full sun. Germinates in 1 - 3 weeks, best at very warm temperatures. 'SCALLOP-SHELL'. Rosy-red flowers in short spikes in summer. Hardy perennial to 10", with woolly crinkled leaves. Mediterranean. Zone 5. Germinates in 1 - 2 weeks. 'HOREHOUND'. White-woolly hardy perennial to 1 - 2 feet, with small crinkled leaves and white flowers in whorls. W. Asia and Mediterranean. Zone 3. Aromatic and bitter. Called 'Seed of Horus' by the ancient Egyptians, it has a long medicinal history, and horehound candy is a popular cold remedy. It contains a powerful anti-viral compound. Used to brew ale. COMPOSITAE. 'MAYWEED'. Hardy annuals and perennials with finely cut foliage and a profusion of attractive daisy-like flowers. Widespread. Easily grown in almost any soil, preferring full sun. Nice for edging or in drifts. Sow where they are to stand. Barely cover. Germinates in 1 - 2 weeks. Seed viable 2 - 3 years. Blooms about 16 weeks from seed. 'GERMAN CHAMOMILE'. White inch-wide daisies with yellow disks. Hardy sweet-scented annual to 2 1/2 feet with finely divided ferny foliage. Europe, W. Asia. Zone 4. Very popular for a pleasant, relaxing bedtime tea. The volatile oil has been used as a solvent in applying platinum to glass. Germinates in 1 - 2 weeks. CRUCIFERAE. 'STOCKS'. Deliciously scented, easily grown annuals and perennials, cottage garden favorites. Splendid plants valued for their greyish foliage topped with dense showy spikes of clove-scented bloom. Excellent for cut flowers. Likes deep moist soil in sun or part shade. Lovely winter pot plant. Sow on the surface as light helps germination, which takes 1 - 2 weeks at cool temperatures. Seed half life is 7 - 10 years. 'EVENING-SCENTED STOCK', 'PERFUME PLANT'. Lilac-pink 3/4" flowers are closed during the day and open in the evening to scent the air with a powerful perfume. Hardy annual to 20" with narrow leaves. Greece. "Wonderfully fragrant."—Sunset. Plant beneath the bedroom window. PAPAVERACEAE. Hardy annuals, biennials and perennials grown for their large showy flowers, which are produced in profusion from June to September. Excellent in the border, rock, and wild garden. Most are hardy, and prefer a moist, partly shady position, but with well drained soil that will not get soggy in winter. Some require a cool moist summer, and planting these on the north side of a stone will help provide a cool root zone. Equal parts peat, leaf mold and sand a foot deep is recommended. Best grown from seed. The perennials are deep rooted and long-lived and should not be disturbed once established. The monocarpic (seeding only once) biennial and triennial species can sometimes be flowered for several years if the first flower-buds are cut out. Sow annuals early and plant out at the end of April. The biennials and perennials should be started in flats on the North side of the house or other cool, shaded place. These will benefit greatly from one week of cold treatment if sown in summer. Plant out in September where they are to grow. They are magnificent plants, and not as difficult to grow as many think, and their exquisite flowers and often striking foliage are worth the extra attention to their requirements needed in establishing them. They germinate best with a one week prechill. 'BLUE POPPY'. Beautiful sky-blue 2 - 3" flowers in cymes. Hardy perennial to 6 feet, with 6" toothed leaves. China. Zone 6. Blooms the second year from seed sown in spring and planted out in August or September. Germinates in about 2 - 6 weeks, best with one week prechill. Beautiful clear rich blue 1 1/4" flowers in May to July. Hardy perennial to 3 feet, with bristly 6 - 10" leaves. Zone 5. (M. betonicifolia X grandis) Germinates in 2 - 6 weeks, best with one week prechill. MYRTACEAE. Many Australian evergreen shrubs and small trees, grown for their showy, bottle-brush like flowers. Most stand salt, heat, wind, poor soil, drought and smog. The 'honey myrtles' have the showiest flowers and the 'paper-barks' have attractive layered bark. The larger species are excellent in California and warm regions for hedges, screens and windbreaks or shade trees, often being breathtaking masses of color when in bloom. The smaller species are excellent as specimen plants and in cold regions are grown in tubs in the cool greenhouse. Close up the flowers of some are of exquisite beauty. They germinate in 1 to 7 weeks, cold or smoke often helps. 'OIL TEA-TREE', 'PAPERBARK'. Small Australian tree grown for the production of the famous antiseptic 'Tea-Tree Oil' distilled from the leaves. White flowers, papery bark, narrow leaves, to 25 feet. Zone 9. Germinates in 1 - 2 weeks. 'HEART-LEAF HONEY MYRTLE'. Purple-pink balls of feathery flowers. Attractive shrub to 3 - 10 feet, with heart-shaped leaves. W. Australia. Zone 8. Surface sow to germinate in 4 - 16 weeks. 'ROSY PAPERBARK'. Pink-purple feathery flowers in clusters. Shrub to 3 - 9 feet, with narrow leaves. E. Australia. Zone 8. Germinates in 1 - 2 weeks. MELIACEAE. Handsome Asian and Australian trees and shrubs grown in California and the South. GA-3 helps germination. 'CHINABERRY', 'PERSIAN LILAC', 'BEAD TREE'. Fragrant lilac flowers with purple-black centers, in loose clusters in early summer, followed by round yellow 1/2 - 3/4" fruits which persist after the leaves have fallen. Fast-growing spreading-crowned tree to 30 - 50 feet, with handsome 3 foot long bipinnate leaves. Asia. Hardy to Zone 7. Valuable shade tree for warm regions. Wood hard, durable and used in cabinet making. Seeds made into rosaries, and fruits attract birds. Seeds germinate easily in 1 - 3 months at warm temperatures. All parts medicinal. Closely related to the famous Neem tree, it has insecticidal properties and needs more research to determine the similarities. LABIATAE. 'BALM'. Perennial herbs from Europe and Asia. Name comes from the Greek for 'bee', as bees are attracted to the plants. Sow after all danger of frost is past. Germinates in 1 - 2 weeks. 'LEMON BALM'. Strongly lemon-scented hardy perennial herb to 2 - 3 feet, forming large bushes in favorable climates. Zone 3. A good bee plant. The leaves are used in making potpourri, perfumes and tea. Use fresh or dry for tea and seasoning. Germinates in 1 - 2 weeks. 'GOLDEN LEMON BALM'. Striking golden and green foliage in spring, changing to light green. Golden color best in part shade. Germinates in 1 week. CUCURBITACEAE. Annual and perennial tendril-climbing vines grown for ornament. Start early indoors, germinates in about 5 - 10 days. Easy. Egg shaped inch-long green and white striped or mottled fruits resembling tiny watermelons. Fast-growing annual with lobed leaves. México. Fruits are "...tasty and crunchy, used in salads or stir-fry."—Lacherez. They are pickled in México. Germinates in 1 - 2 weeks. LABIATAE. 'MINT'. Easily grown tender perennial herbs grown for seasoning, medicine, aromatic oil and ornament. Sow seed in any good moist garden soil in spring. They spread by runners. 'PEPPERMINT'. 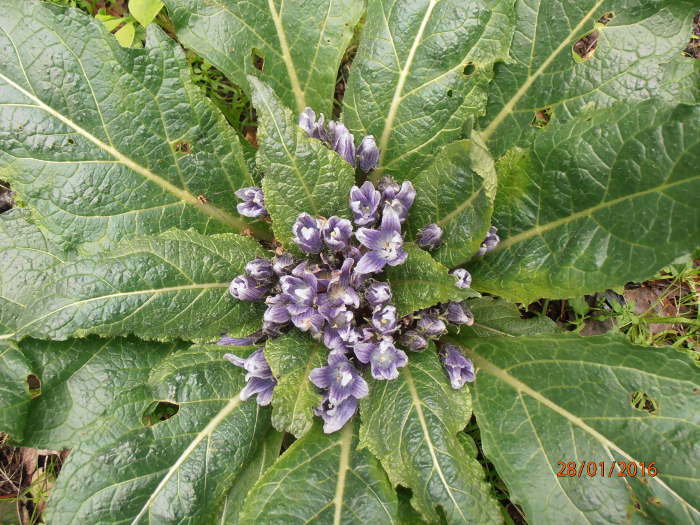 Purple flowers and purple-tinged leaves. To 2 - 3 feet. Likes moist places. Zone 2. The most-used mint, Oil of Peppermint is found in a great range of preparations from toothpaste to candy. Excellent remedy for nausea fever and rheumatism. Varies greatly from seed. Germinates in 1 - 3 weeks warm. LOASACEAE. N. and S. American plants grown for their showy flowers. Easy in light rich soil in sunny spots. Good in the border, wild garden, or pots, blooming June to October. Sow 1/8" deep outdoors in March and April, or in fall in warm regions. They bloom in about 10 weeks. 'GIANT EVENING STAR'. Huge cream to yellow 4 - 5" ten-petaled, sweet-scented flowers open at night, up to 40 - 50 blooms per plant. Very hardy biennial or perennial to 2 - 4 feet, with lobed, lance-shaped leaves. Dry rocky soil, plains and foothills, Alberta to Iowa and México. Zone 3. Give seed 4 weeks cold to germinate in 4 weeks or so. LEGUMINOSAE. Warm region herbs, shrubs and trees grown for their showy, puff-like flowers and attractive feathery foliage. They make lovely specimens in the greenhouse or outdoors in California and the South. Nick seed to germinate in 1 - 3 weeks at warm temperatures. Grow like Acacia. 'SENSITIVE PLANT'. Lavender puff-like flowers and feathery pinnate foliage which closes quickly at a touch. Shrub to 3 feet. Tropical America. Easily grown as an annual. Movement best at warm temperatures. Pop seed out of husk, nick, germinates in 1 - 3 weeks. "Sometimes, there are no answers."—J.L.H. CONVOLVULACEAE. A single species. Easily grown. Unusual rich crimson 3/4" flower buds fading through orange to yellow, in curved, one-sided spikes. Each spike may have up to 12 flowers in various stages of development, producing a striking effect. Strong climbing vine to 15 - 20 feet, with 3-lobed leaves. México. Good in pots and hanging baskets. "It is a very free bloomer, and deservedly popular."—H. D. House. Nick seed to germinate in 1 - 2 weeks. NYCTAGINACEAE. Showy tuberous-rooted perennials from the warm regions of the Americas, grown as annuals in the North. The name means 'admirable'. Best in a sunny spot. Easy from seed. They are wonderful old-fashioned favorites. In cold climates the roots may be dug and wintered like dahlias. 'FOUR-O'CLOCK', 'MARVEL-OF-PERU'. Fragrant, trumpet-shaped 1 - 2" flowers in bright shades of red, magenta, pink, yellow, and white, sometimes striped and blotched. 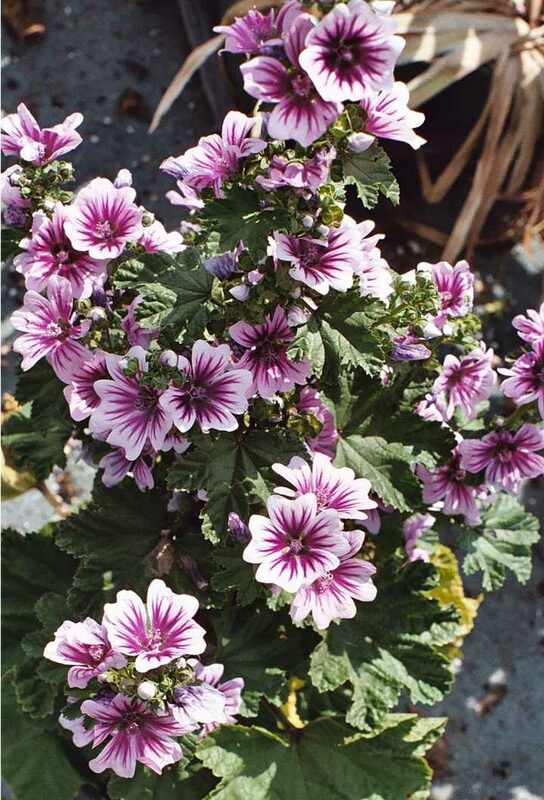 Showy, profusely-blooming tender perennial to 3 feet, with deep green 2 - 6" leaves, forming an attractive mound of bloom. Tropical America. Long tuberous roots may reach 40 pounds in warm climates. Grow as an annual in the North, or lift tubers like dahlias. The fragrance is said to drive away mosquitoes, and the flowers are used as food coloring in China. An old-fashioned favorite, cultivated since 1596. 'Jalapa' is a Mexican town, pronounced ha-LA-pa. Germinates in 1 - 4 weeks. Clear magenta flowers abundantly produced on a bushy tender perennial to 3 feet. This type is found growing wild in waste places in California. One of the first plants I grew as a boy, after nearly 50 years they still come up in my mom's garden, where I collected this seed. Germinates in 1 - 2 weeks. 'SWEET FOUR O'CLOCK'. White flowers with a long 4 - 6" tube, red throat, and starry end. Bushy perennial to 3 feet, with 3 - 4" leaves. West Texas to México. Zone 8. "On calm, warm summer nights they fill the air with a wonderful fragrance."—Wilamowski. Germinates in 1 - 2 weeks. 'DESERT FOUR O'CLOCK', 'SO:'KSI' (Hopi name). Deep rose 2" long trumpet-shaped flowers abundantly produced on a grey-green perennial to 6 feet across, with triangular leaves and a large thick root. SW U.S. Hopi medicine-men chew the root to help diagnosis of patients. Germinates in 1 - 4 weeks. LEGUMINOSAE. Australian shrubs with pea-like flowers in yellow-orange or purple. 'HOLLY-LEAF MIRBELIA'. Spikes of purple-mauve flowers at the branch-tips in spring and summer. Large shrub to 12 feet, with wavy, dark green, holly-like leaves and egg-shaped pods. SE Australia. Zone 8. Good in California. Nick seed to germinate in 1 - 6 weeks. Orange-yellow flowers with red centers. Trailing shrub with narrow 2" leaves. SE Australia. Zone 8. Nick seed to germinate in 1 - 6 weeks. SAXIFRAGACEAE. Dainty North American and Asian perennials, Good in moist shady places. Tall spikes of dainty tiny white or purple flowers in late spring. Hardy perennial with rounded Heuchera-like leaves, often 'flushed purple. Pacific Northwest. Zone 4. Surface sow to germinate in 3 - 5 weeks. "Ignorance is preferable to error, and he is less remote from the truth who believes nothing, than he who believes what is wrong. "—Thomas Jefferson. LABIATAE. Aromatic perennial and annual herbs, some with showy scarlet or purple blooms. Good in masses in a sunny border. Easy culture, will thrive in any good soil. Divide in spring; plants disturbed in fall often die in winter. Sow on the surface, germinates in 1 - 4 weeks. Cool temperatures help some. 'LEMON BEE BALM'. Purple or yellow showy flowers. Annual or perennial to 32". Zone 5. Highly lemon-scented. The mature seedheads are attractive dried. 'BERGAMOT', 'BEE BALM', 'OSWEGO TEA'. Highly aromatic herb with showy scarlet, purple or pink flowers in starry whorls. To 2 feet. Zone 4. The fragrant leaves are used alone as a tea, or are mixed with black tea as flavoring. Excellent bee plant. Stunning when flowering. Likes moist soil. 'WILD BERGAMOT'. Lilac 1 1/2" flowers in clusters with colored bracts. Hardy perennial to 2 - 5 feet, with 4" leaves. N. America. Zone 4. The strongly fragrant leaves were used when cooking meat, and were chewed by the Indians. They make a pleasant aromatic tea. The volatile oil is over 50% carvacrol. Germinates in 1 - 3 weeks, with stragglers to 5 months. 'SPOTTED BEEBALM'. Inch-long yellow flowers spotted with purple, in dense wheel-like whorls, surrounded by purple-pink bracts. Hardy perennial to 3 feet, with narrow 3" leaves. E. U.S. Zone 4. The dried seedheads are attractive. A strongly aromatic and flavorful herb with a thyme-like scent. Germinates in 2 - 3 weeks. PORTULACACEAE. Widespread small annuals or perennials with small flowers. 'MINER'S LETTUCE'. Bright green annual to 6 - 12", noted for the unusual cup-like leaf below the spike of small white flowers. Young leaves narrow, broadening as the plant matures. W N. America. Shady places. Excellent in salads, called 'miner's lettuce' as it was eaten by the gold rush miners. 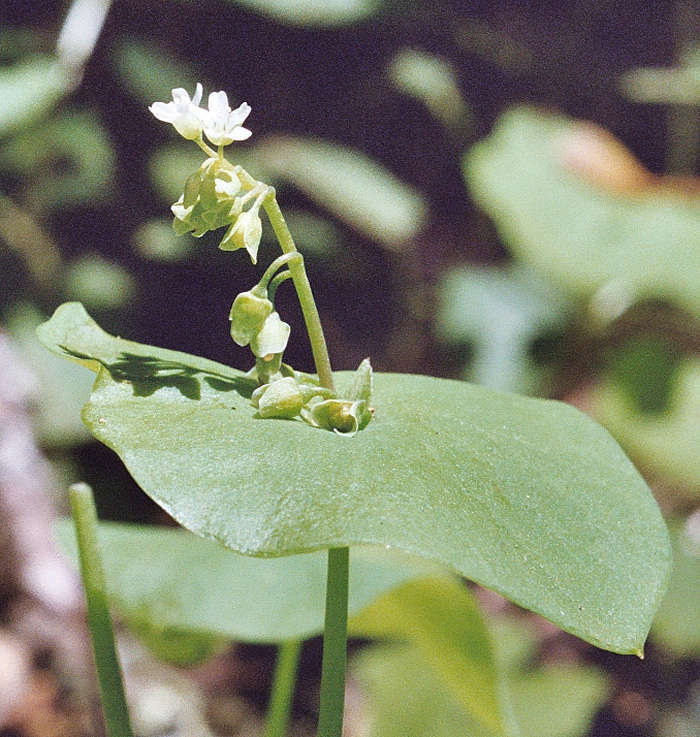 It is one of the first wild plants we learned to eat as kids growing up in California. Can be grown as a cut-and-come-again greens. Germinates best at cool to cold temperatures, plus light and or GA-3, to germinate in 2 - 4 weeks. RUBIACEAE. Tropical trees and shrubs. 'NONI', 'INDIAN MULBERRY'. Starry white 1/2" flowers in clusters, followed by knobby 2" fruits. Small fast-growing tree to 20 feet, with large shiny leaves. SE Asia and Pacific. Zone 10. Bears in 18 months, giving 8 - 17 pounds of fruit per month, year round. Fruits eaten cooked or juiced, and used medicinally as a panacea. Some evidence of anticancer activity. Young leaves eaten. Stands salt spray at seaside. Seed needs warmth to germinate in 6 - 12 months, clipping the tip of the wing helps. MORINGACEAE. Interesting and useful tropical trees of semi-arid regions of Asia and Africa. Easily grown in warm areas of the U.S. or in the greenhouse. Easy from seed. 'HORSERADISH TREE', 'SAJAN'. Clustered, inch-wide, fragrant, oddly-shaped flowers followed by 12 - 18" pods. Tripinnate leaves. India. Valuable multi-use tree. Leaves eaten boiled or fried, and are especially rich in the sulfur-bearing amino acids methionine and cystine, which balance bean protein, and in vitamin A; planted to prevent deficiency-blindness. Young pods called 'drumsticks', eaten cooked or pickled. Seeds yield a fine edible oil (ben oil), also used by watchmakers. The roots have a horseradish flavor and are used as a condiment. Germinates in 2 - 4 weeks. "Coercion is the least efficient means of obtaining order."—U. K. LeGuin. LEGUMINOSAE. Showy tropical vines grown for ornament, soil building and cattle forage. Some are among the most brilliant and dramatic of the world's plants. Frost tender, good in the far South and in the greenhouse, some blooming and maturing seed as far north as Maryland and Kansas. Easy from seed in most soils, sprouts quickly. Some are bat-pollinated. 'SEA BEAN', 'TOBI-KAZURA' (Japanese name meaning 'flying vine'). Purple-black to red-yellow 3" waxy flowers in 8" clusters in spring, followed by 12" pods. Large evergreen tropical climber to 40 feet, with trifoliate 5" leaves. China. Zone 10. Nick and soak seed to germinate in 1 - 2 months. MYRICACEAE. 'WAX MYRTLE'. Ornamental shrubs and small trees with nitrogen fixing bacteria. Grown for ornament, fruits, fragrant wax and medicine. Good soil builders in sandy sterile areas. Seed of temperate-zone kinds germinate after 3 months cold treatment. GA-3 at 500ppm helps the germination of de-waxed seed. 'CALIFORNIA BAYBERRY'. Glossy dark green leaves on an evergreen shrub or small tree to 10 - 30 feet, with deep purple waxy berries. Coastal western U.S. Zone 7. "One of the best-looking native plants."—Sunset. Rub wax off seed to germinate in 3 - 7 months. A prechill and GA-3 also help. 'SWEET CICELY', 'MYRRH'. Sweet-scented, lacy, fern-like foliage and large umbels of white flowers on 2 - 3 foot stems. Europe. Zone 4. 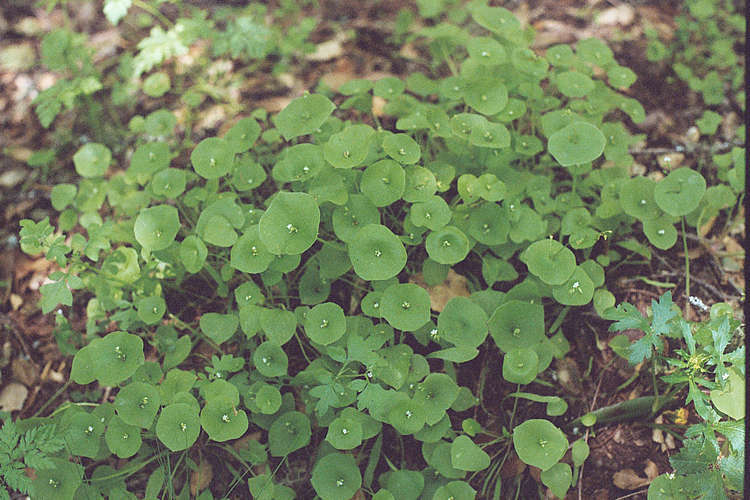 The fragrant foliage has a sweet taste and is used as a potherb, in salads, to flavor vinegar, etc. "The leaves taste as if sugar had been sprinkled over them."—Grieve. The roots are eaten in salads or boiled. The chopped green seeds are eaten as flavoring. Plant out 2 feet apart. Will produce for many years. Seed best sown in fall to germinate in spring. If sown in spring, give at least 2 - 4 months cold treatment, and best to freeze a few times during this. Will then germinate in 1 - 3 months. It is absolutely a myth that the seed is only viable a few weeks; it just goes into deep dormancy if not sown right off the plant. I've had high germination from seed one and two years old, and D. Downs reports 3 years.